Reading, as one does, about Robert Murray, once owner of the most shipping tonnage in New York, until he retired to a 29-acre farm on Manhattan which he called Inclenberg but everyone else called – and still calls – Murray Hill. 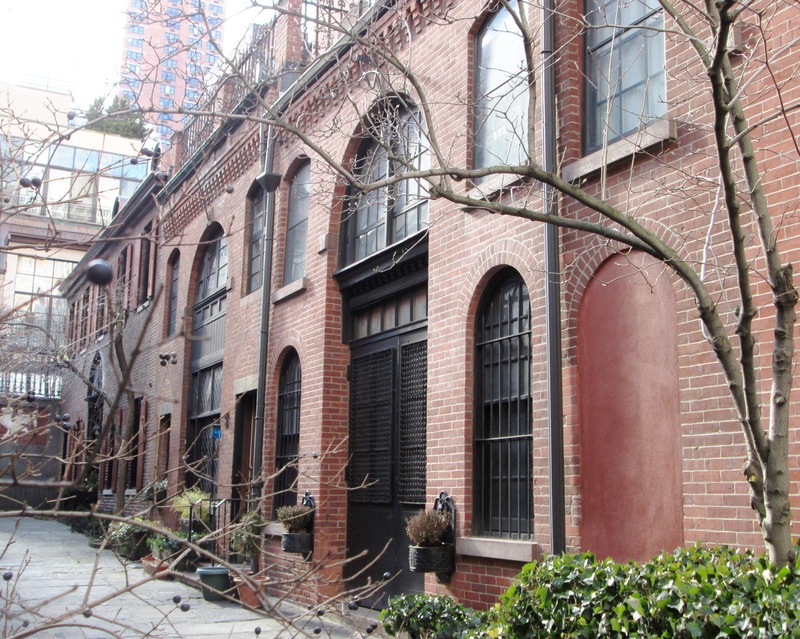 In Murray Hill today is Sniffen Court, an alley off 36th Street built in 1863-4. Here’s some good photos. Right on 36th Street, 1 Sniffen Court has been owned by the Amateur Comedy Club since 1884, and the building is registered as a legitimate theater. Additional research shows that the amateur theater group was a private one, operated strictly by and for the amusement of its own members and social circle with no public performances. The group dramatically broke their private character during World War I, when it became a dramatic theater company for the entertainment and benefit of military service members. Here’s the Amateur Comedy Club website. One hopes they provide welcome relief from the excessive professionalism of other comedy clubs.